Thanks to the Japanese Village Books Twitter page, we have word that one of the most critically acclaimed books from the IDW Transformers version 1 run is soon to be available to the Japanese market! IDW's Last Stand of the Wreckers was originally published in 2010, written by James Roberts and Nick Roche, with art done by Roche. 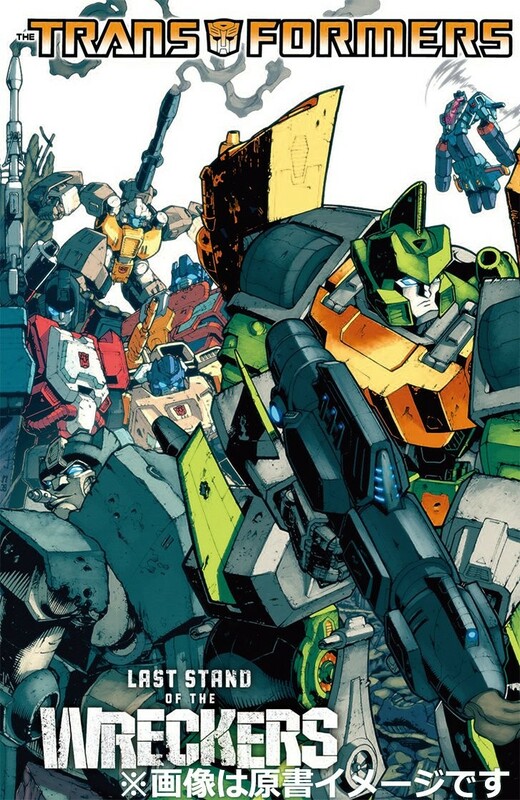 The series eventually spawned a Wreckers Trilogy, with the 5 part Sins of the Wreckers coming out in 2015 and 2016, and the final chapter, Requiem of the Wreckers, being released in 2018 as a double issue. Last Stand focuses in on a group of Autobots that include old and new Wreckers alike, which include some of the best and also some of the worst the Autobots have, blurring the line between being good guys and being bad guys on the side of the good guys. The series was praised for its direction, artwork, and for truly giving us a horror war story where people die in pointless, preventable ways. The series is now set to be released on May 30, 2019 in Japanese, so our friends in Japan can finally at long last enjoy the series that truly came to define the original IDW Transformers run. Let us know what you think of this release in the comments section below! 3,941 pages were recently viewed by 760 unique visitors. This page was viewed 1 times on Sunday, April 21st 2019 3:52am CDT. © 2019 Seibertron, Inc. DBA Seibertron.com. All Rights Reserved. Established June 2000. Seibertron.com is owned by Ryan Yzquierdo.